Nothing like some good pig cracklins for lunch. 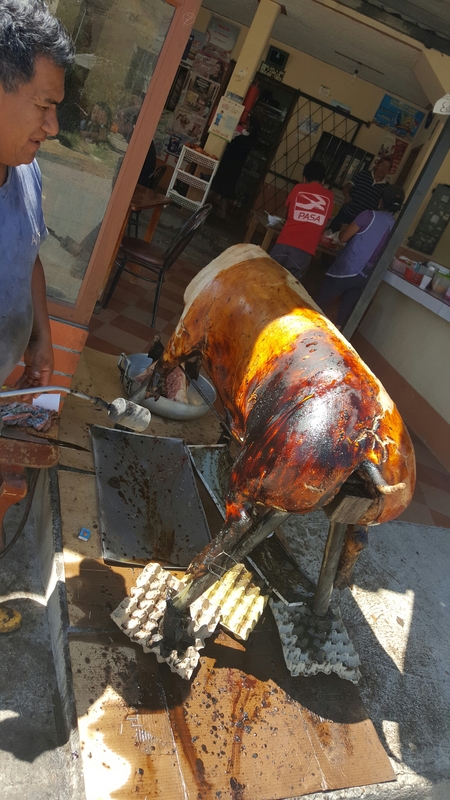 The pig is uncooked and they use a blow torch to fry the hair off and make the skin crispy. He says it needs to be a young pig like this six month old, or the skin is too tough.